CONGR ATULATIONS! The Arizona chapter of the Oral Cancer Foundation exceeded it's goal by $147! Thank you to all of you who supported the effort of this most worthwhile cause. Legacy Dental Group placed in the Top 5 Teams of dental professional offices who participated! 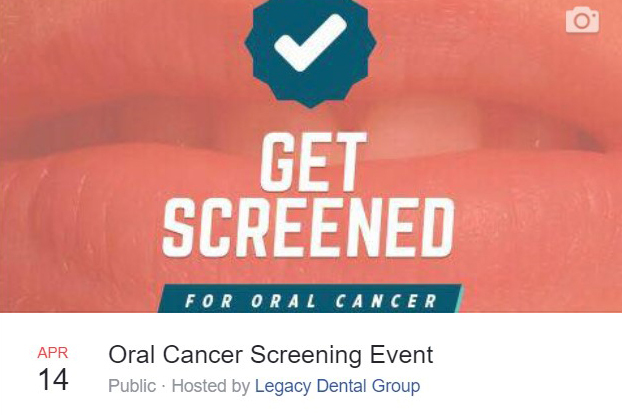 Americans have not heard enough about oral cancer and the time is now to bring awareness to it's causes, prevention, and treatment. It all starts with quitting some behaviors that put you at risk and seeing your dentist for an oral cancer screening at each of your preventative care visits and if you have an unexplained sore that won't go away. 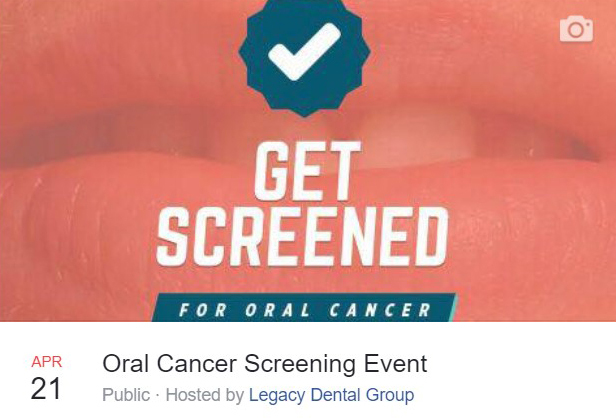 Together, we can bring an end to oral cancer in our lifetime. Get screened today. It's fast, painless, and could save your life. We are holding free screening events Saturdays, April 14 and 21, 2018from 10:00 AM-12:00 PM. See us if you don't have a dentist or if you think you need to be screened.